I went to "IYOTETSU SHOP AKIHABARA" in Akihabara, Tokyo today. 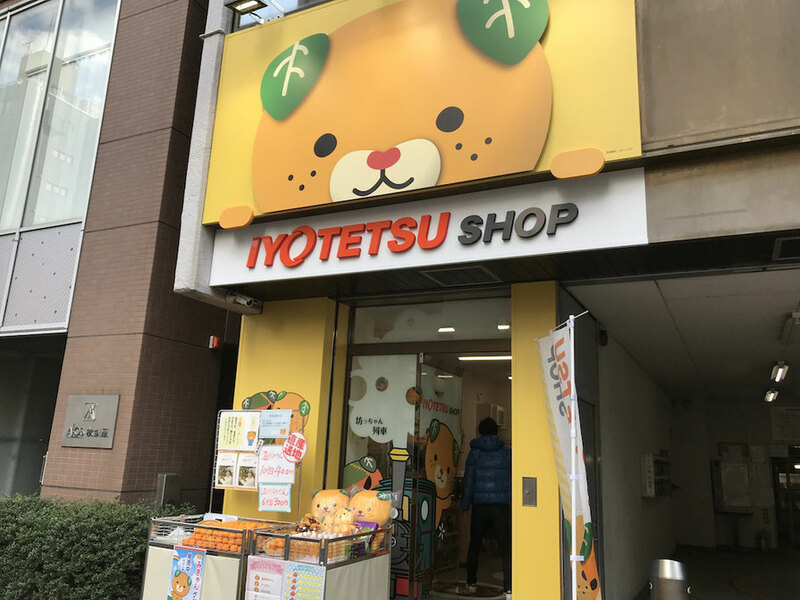 "IYOTETSU SHOP" is the souvenir shop of Matsuyama City, Ehime Prefecture, Japan, and "IYOTETSU SHOP AKIHABARA" is the first store in Tokyo. 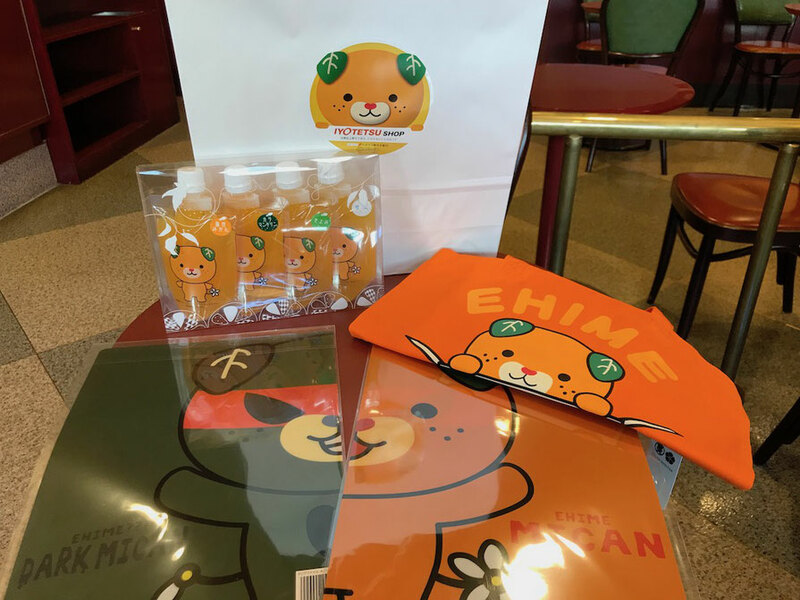 It has juice and jelly of mandarine orange which is a famous product of Ehime, and goods of "Mican" and "Dark Mican" which are the face of Ehime. This shop is open only on Fridays and Saturdays and Sundays. I hear that sales person is coming to Tokyo from Ehime only on weekends. I bought these foods and goods. 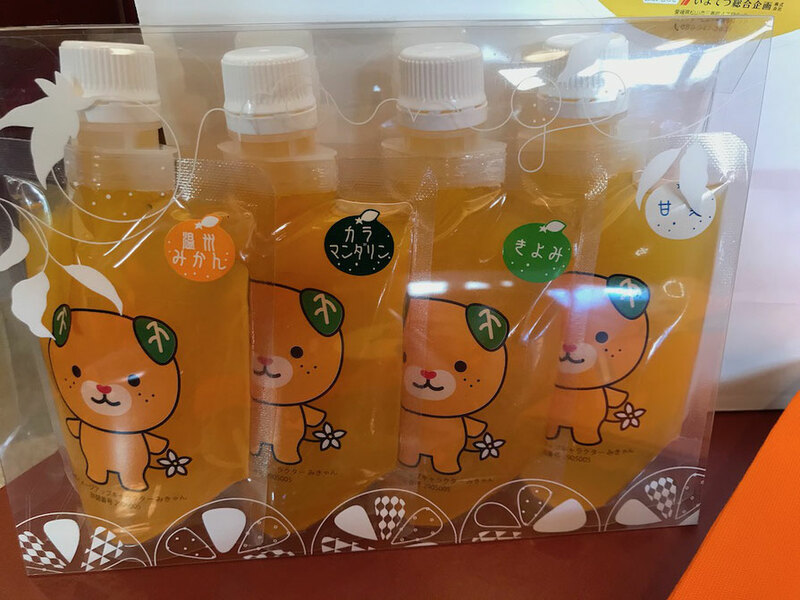 Four kinds of mandarine orange is used for the jelly.